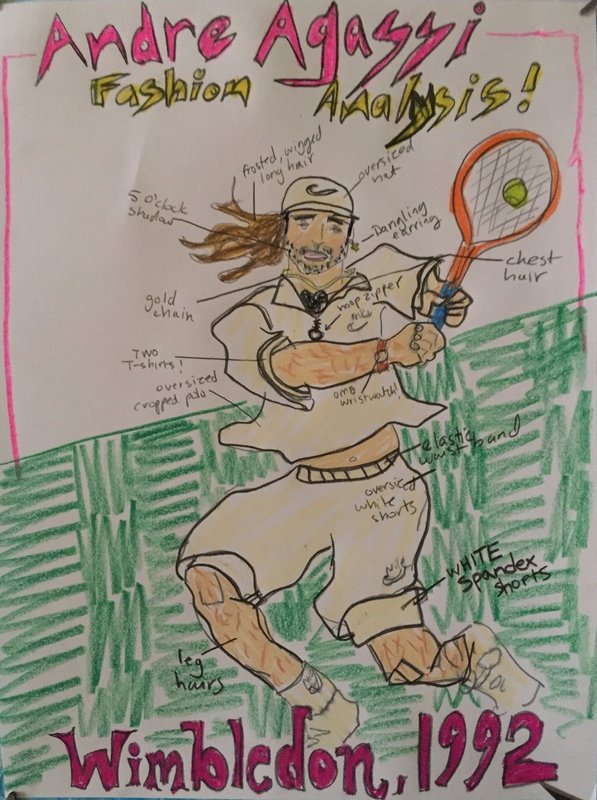 In celebration of Wimbledon I thought I would share a fashion analysis of the most accessorized player ever in the game, Andre Agassi. In 1992 he won his first major, Wimbledon, and his outfit was nuts. I don’t know how he did it when he was so weighed down with all of his fashion don’ts. I’ve marked all of them in this drawing but some of the highlights I think are the frosted tip wig, oversized hat, double shirt and shorts and a wrist watch…because ??? Please enjoy and go Federer!